Kristoffer Kiørboe has made a low-key rites-of-passage story about self-absorbed grownups and a boy who is saddled with more responsibility than he can bear. Son draws on the director’s own experiences of growing up with divorce. 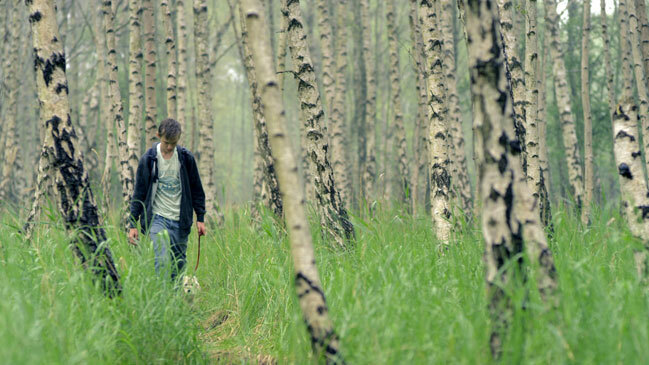 Son is a short film about August, a 13-year-old boy, whose father gives him a puppy. August’s parents are divorced and the wounds from the breakup are still fresh, especially for August’s mother who won’t let him keep the puppy. For August, his father’s gift morphs into something more than a fuzzy pet. It becomes a complex and conflicted package of guilt, anger, divided loyalties and affection, bringing out the emotions that are already weighing down a heavy situation. “The film is a snapshot of a crucial phase in August’s life. His mother is so unhappy and humiliated after the divorce that she can’t see beyond her own grief, and August is asked to carry an emotional responsibility that he is way too young to handle,” director Kristoffer Kiørboe says. Kiørboe, who grew up with his mother and brother, didn’t meet his father until he was 21. “Our mother managed her emotional life remarkably better than August’s mother does, but I certainly recognise the feeling of being responsible for your mother’s well-being. I guess I was also subconsciously trying to take on the role of ‘man of the house’ to some extent,” the director says. He does not intend for his film to moralise or make August a victim. He simply wants to depict the letdown and emotional quandaries that follow in the wake of a divorce and that hit children hard. Son is a character-driven story and the believability of the character August is essential. August is played by Stefan Søe Iwan, a previously untested 13-year-old. “He has a terrific expression, full of emotion,” Kiørboe says, adding that it takes a special combination of security, praise and persuasion to direct a young kid. “You’ve got to stay on your toes and dare to be honest – gentle, but honest. The actors can’t do anything wrong. Only I, the director, can make mistakes. If a scene goes wrong, it’s because I didn’t do my job right. I get what I give. It’s just like being a parent,” Kiørboe says. Kiørboe is a graduate of the documentary programme at the National Film School of Denmark, but even back in school he was moving more towards fiction. Now his documentary background and experience working with real people is evident in his desire to layer more credibility and realism into a fictional framework. Kiørboe talks about feelings a lot, but he’s fascinated by stories about people who are not so good at expressing them. Son, screening in the Berlinale’s Generation 14plus competition, is produced by Nina Helveg for Frame By Frame with support from the DFI Film Workshop. Director, born 1979. Before he began filmmaking, Kristoffer Kiørboe was a musician and acted in commercials, short film and TV series. 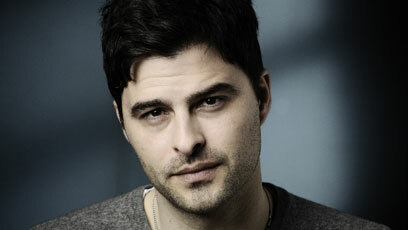 He made his directorial debut in 2003 and enrolled in the National Film School of Denmark, where he graduated in 2009. Since then, Kiørboe has made a transition from documentary to fiction, directing smaller fiction projects and several commercials. Son is his first purely fictional film.